One of your help topics lists the apps that can be used to read bookshare offerings. A new app, Dolphin EasyReader https://itunes.apple.com/gb/app/dolphin-easyreader/id1161662515?mt=8&ign-mpt=uo%3D8 looks very promising and needs to be listed in that help topic. In general many of your help topics haven't changed in several years. It might be good to give a few years of membership to a long-time bookshare volunteer in exchange for updating some of these topics and it would cost you little to do so. I'd appreciate a current list of which apps support reading lists. About three-fourths of my members are organizational members and they carry around Android tablets or iPADS. Fooling around with our demo account on our office iPAD I can search for a book and download it in VoiceDream or Read2Go if it happens to be on a reading list assigned to that account. But the office iPAD which hasn't been updated in a while due to MDM issues does not show me reading lists in any bookshare compatible apps. I have my own Android devices and iPHONE, but I have an individual membership because I am myself print-impaired. So I can't use my own account to demo the experience an organizational member might have with their tablet or phone. If current versions of apps support reading lists directly, letting organizational members browse lists assigned to them, I would like to know, since I can then justify to our IT department that they really need to update our office iPAD. I also can let the students who don't have individual memberships know that they can get to their reading list from an app. Thanks. I know there's nothing you can really do about this, so this is more opinion than anything else. I think the problem is that we have two kinds of users. Users like me love reading and libraries. If we get an email that tells us our membership will expire, we hurry to remedy the problem. If we get email telling us that we are organizational members, and it would be so much easier for us if we were individual members, we rush to set up our membership so we can read even more. Unfortunately, many of my college students fall in to the non-reader category. Reading is like scrubbing toilets for them. If they get an email that says something about memberships they delete it. If they get email about renewing this or that, it might be spam anyway, so it too lands in the bit bucket. But if the instructor says they have a mid-term next Monday, then they are at my door, demanding they somehow find their book. I tell them they already have a bookshare account and they can barely remember the last time they used it. For me, fixing whatever is preventing them from downloading that book is a priority because I am tasked with providing alternate media "in a timely manner" .. legally that's a requirement of my position. But their only task is to get me to cough up that book. This is why I really need bookshare to make it easier for me to fix problems my non-reading students have. Expired accounts are common. Or maybe they have accounts previously created by a parent, high school teacher, rehab counselor or other college. They've forgotten their password, or I had to assign them a user ID that's not their email address because their email was already taken by the long-ago expired account. It seems like I always have some student who can't log in and I get tired of the responsibility. Students who do not read ignore most of their email, which is an unfortunate reality. Three months later, and nothing's changed. Don't you guys get that my college students no longer have involved parents who will read their email, fill out their forms etc, and that they have a learning impairment which makes long bureaucratic email hard to understand!!! If you are truly serious about encouraging organizational members to become individual members, do the following: 1) Send out a friendly invite each month to all my organizational members -- each one's user id is their email address. 2) Send me a monthly list of people who are not individual members so I can prod them in to becoming such. 3) Let me print a roster of only members who are organizational so i can ask the LD specialists, tutors, counselors and access technology specialists who work closely with my students to prod them as well. I am the alternate media contact for a large community college. We currently have 62 bookshare members, and when I'm done adding some new students, it will be around 67. I noticed I had to renew a few members, which I did, but is there a way I can just batch renew everyone for a year? This way they would all expire on the same day and make my life much easier. Also, is there a way I can get an email when a student is about to expire, if I can't batch renew? This way if the student is no longer here, I can let them expire, but if they are still here and active I can take action. Lastly, I can display a list of all individual members, but is there a way to display a list of members who are organizational only? This way I can once again remind them to sign up for individual memberships. Though I personally prefer Read2Go, I find students like VoiceDream much better. VoiceDream also lets you buy a variety of voices and grab your books from different cloud storage sources. For Braille, Read2Go does have a big edge, and I think it's a bit less confusing for BVI users. I have determined that Chrome just isn't going to use my SAPI voices, but as you said, I can indeed download the high-quality Google TTS without needing to log in. In fact, curiously if I do log in, which automatically enables ChromeVox, it causes the web reader to stop its self-voicing. The secret therefore is to not log in to Chrome. so I keep one machine logged in to chrome and another that never logs in. Solved the problem! Another thing that can be done in a computer lab if one does need to log in to Chrome for some reason is to create a demo google account. I do this on our department iPAD so I can save searches and the like, but I use it strictlhy to demo features so there's no real personal information saved on that account. Have you tried skipping past the legal disclaimers? Does it continue to read if immediately when it starts you press the 6 key to skip to the book content? If you phone Humanware and demonstrate this over the phone to their support they might have thoughts about the problem as well. It's certainly unusual, as I have read thousands of books with several VR Stream players, including old and new models that belong to both me and my employer. One problem that you might be having is that if the reader comes across an image or a tag for an image it can stall for a long time and fall silent. It hasn't turned off, it just has trouble processing the images or their tags. And it doesn't actually freeze, it just seems to get stuck in the middle of processing. There is a link to an image in the text-only Daisy files and that seems to flummox the Stream somewhat. One thing you can try now is to download the book as epub instead and see if the device reads that format better. Don't download as BRF for sure. Also try something that's not publisher quality and be sure you update your stream's firmware. I have sideloaded GoRead and do not experience these problems with the voice. I read very, very fast, but I do use VoiceView the screen reader. It is likely that once you speed up the voice using the screen reader, it stays fast for GoRead. If you don't need the screen reader, turn it off after speeding up the voice. Tell us what you think about the new search filters! I found it a bit confusing, but not impossible to use with a screen reader, and it's worth the learning curve! I particularly like now that I can find fiction with the words "cookbook" or "comprehensive" in the title or nonfiction with the word "suspense". It is sometimes quite challenging to find a book on a topic when that topic is a common word. This might already be on your Youtube channel, but if it's not or it is incomplete, a tutorial on using the search filters will go a long way towards helping members become more independent. To make it accessible for screen reader users, be sure to say "and now I'm clicking on the button labeled ..." or "a drop-down list appears when I click here ..." and that helps all people who are auditory learners as well, who for example, might not notice that drop-down list! I have worked with so many LD students and each has a different voice they prefer. This is because all reading differences are different. I try to acquire as many different TTS voices as possible each time our college has extra money so if a student needs, I can always make them MP3 files of sections they need to read. One thing I've learned is that the more you practice using electronic voices, the better you get, until eventually it hardly matters what voice you are using. Remember that some people also have auditory processing disorders, and that's the problem; not the voice they are currently using to read a book. For them, seeing the book while the voice reads is crucial. Your choices are more limited with the web reader in Windows, but my best advice is to try and purchase as many of the TTS voices that you can. On the iPAD and Android, VoiceDream users can work with a variety of low-cost voices. On Windows many Daisy book readers can use SAPI voices. This link: https://foothilldeanza-my.sharepoint.com/personal/10270840_fhda_edu/_layouts/15/guestaccess.aspx?guestaccesstoken=xQk%2bf8rcjxwDn9JgjJbw%2b8QLcmKIthEyhYsDMApfPd8%3d&docid=15b21f87e022641528245ce57f034dcab&rev=1 will let you download a demo of 39 voices I prepared for my students so they can experiment with listening to all the different ones. The readme included lists sources of voices both for free and purchase and also Windows programs one can use to read with these voices. As a student, using my personal account, I've had great success getting book requests taken care of. I've requested about ten books that weren't in the library, and six months later, they were! And they were high quality with great Daisy markup making it quick to read the sections I needed and skip the sections I didn't. As a disability service provider, using a different account of course, I've not had good luck requesting books for students. Part of the problem is that our professors often don't decide what book they want until a week before class. I acquire books for my students through bookshare, learning ally, several other services that provide textbooks from publishers to service providers like me, the public libraries and through networking with other colleges. When considering a college, a print-impaired student should find out how capable an alternate media specialist at their college is at tracking down books from disparate sources. I also scan many books for my students. 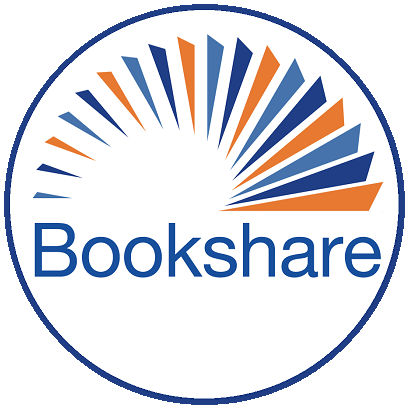 In general about 40% of the books my students need can be downloaded or read online from bookshare. Often the biggest problem is that the publisher has just come oujt with a new edition which of course the professor decides to use, and bookshare only has older editions. It's particularly frustrating when the only thing that's changed with the new edition is that the exercises have been updated, or the text of the material switched around in such a way that a good reader could easily work with the older edition whereas a challenged reader cannot. I was the original poster of this topic, logging in then under my personal account, which on these forums is still associated with my maiden name. It is still disappointing that reviews aren't more popular, but I definitely second the suggestion of making it possible to see other books that are similar to a title I downloaded; the way libraries and Amazon already make suggestions. I would say though not to show other books that were searched for, but instead other books that were actually downloaded or read online that are similar. I agree with the ease of use of Alexa and often demo her to my students, reminding them that non-disabled students need to buy or rent books and so if they have to get the book on Amazon for the easy reading experience their playing field is more than level. I think one thing that would help impatient, challenged readers to get the "Alexa experience" now with bookshare is more videos on using the web reader. I know there's a few that exist but there is more chatting from the demonstrator and not enough demonstration of the user actually reading with the high-quality Chrome voice. Remember that showing a reluctant reader how to use the web reader can go a long way towards giving them the "Alexa Experience" with today's bookshare! I continue to love using goread, voicedream and capti on my Kindle. I also use the Kindle often to demo to students, especially those with learning differences or low vision who need to read with both their eyes and ears. Improvements to the Fire operating system continue to appear, and another apk repository, apkpure.com also keeps updated versions of the apps, like goread available for side-loading. Another big advantage the Kindle has over some other Android tablets is support for SD cards, and the fact that a book that a student wants to buy or rent that's not on bookshare can also be easily read on this platform. Amazon has added greater accessibility to the newest Kindle paperwhite devices, and though they don't run apps, it's important information to know. I'd really like to see more high school and post-secondary schools encourage Kindle usage, since the device is far cheaper than an iPAD, books are cheaper to rent on Amazon than to buy and sideloading goread is really not that difficult.